Even if you live far, far away from T-Mobile Park and SoDo, you can still show your support for the Seattle Mariners. 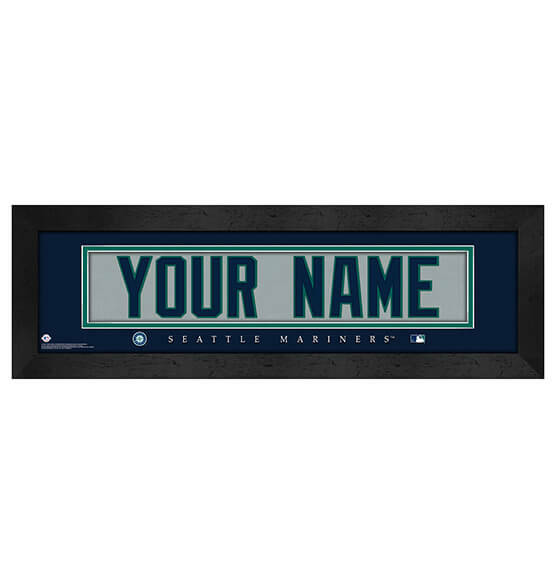 Your number-one fan status will be clear when you purchase our Seattle Mariner Personalized MLB Framed Nameplate. Customize this nameplate designed to look like the back of a Seattle Mariners jersey and featuring the M's team colors and logo. Made from crisp, premium paper, glass and MDF vinyl-wrapped frames, this epic sports decor is a great purchase for yourself or a gift that's sure to be a grand slam. This piece arrives ready to hang with a sawtooth hanger for your convenience.